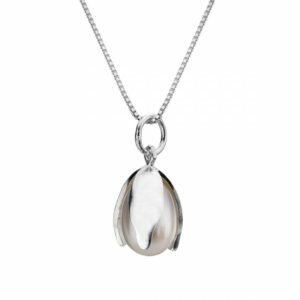 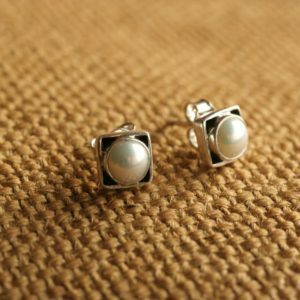 Gorgeous, classy medium large pendant…popular for at least 10 years in our shop. 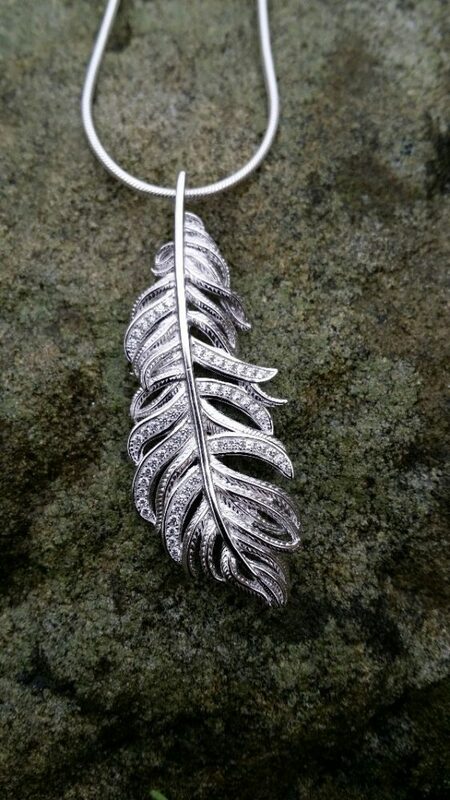 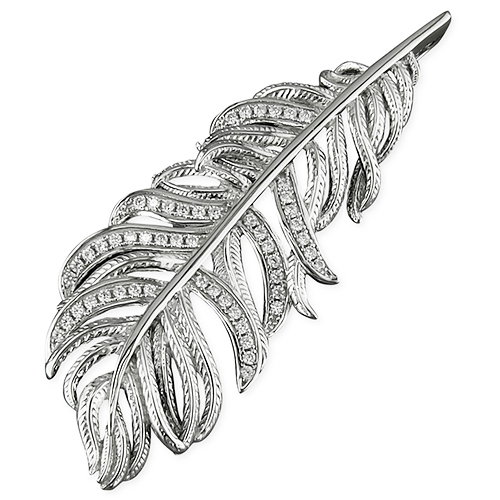 Hand-crafted from stering silver with alternate feather strands of textured silver and studded crystal. 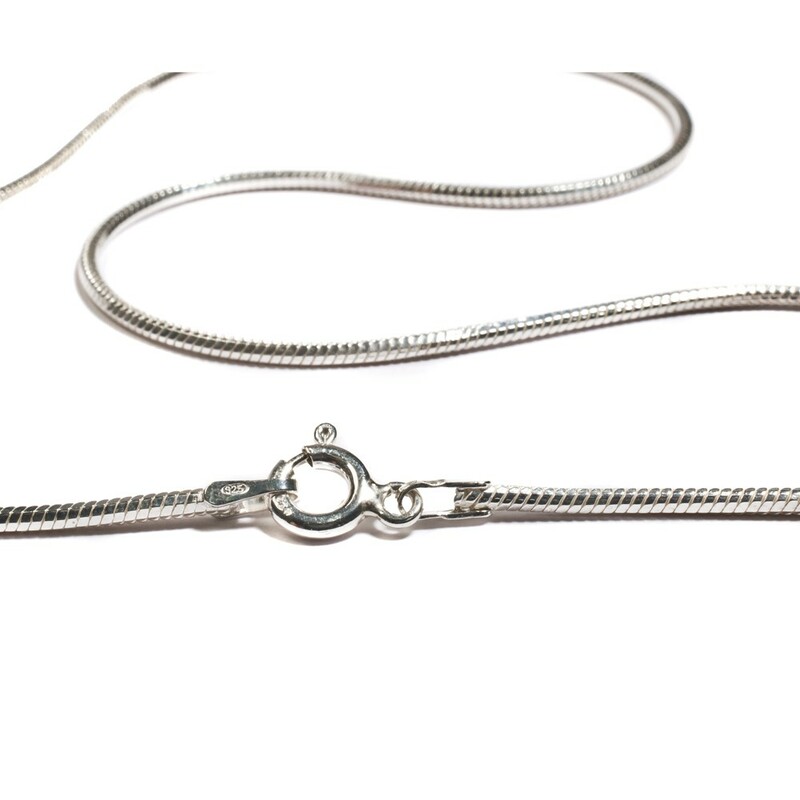 Supplied on a top-quality Italian snake chain of your choice of length….16,18,20,22 or 24 inches.